Brendan Dassey, a Manitowoc County teen convicted of killing a photographer in 2005, may be getting out of prison. Dassey's conviction was overturned by a federal judge Friday. Dassey and his uncle, Steven Avery, were convicted of killing Teresa Halbach. Their case received international attention following the release of the Netflix documentary "Making a Murderer." One of Dassey's lawyers, Jerry Buting tweeted "Justice finally strikes!" in response to the ruling. Attorney Kathleen Zellner, who has taken on Avery's case, also reacted to the news via Twitter, stating "Justice for Brendan as another LE fabricated confession bites the dust. Convicting the innocent foiled by unbiased court." 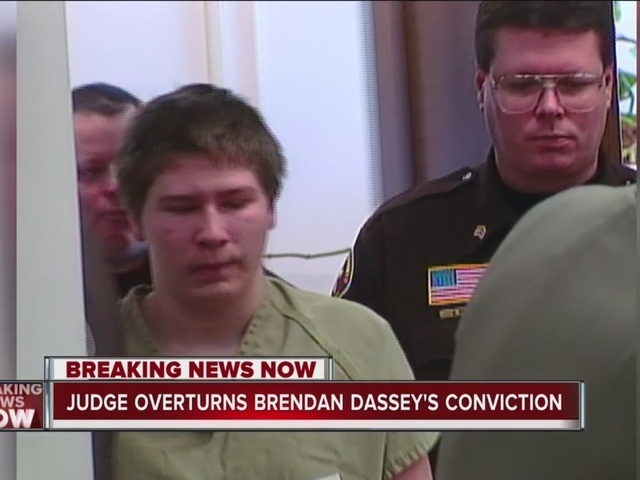 Brendan Dassey writ granted to reverse his conviction. Justice finally strikes! Video Mashup Combines "Making a Murderer," "The Simpsons"